This exclusive development has been built with quality in mind. This particular semi-detached home has three double bedrooms with a master en-suite family bathroom Living room kitchen downstairs cloakroom enclosed rear garden off road parking and single garage. The home has many features including built in units in the Kitchen. It is about 1250 sq feet in size. 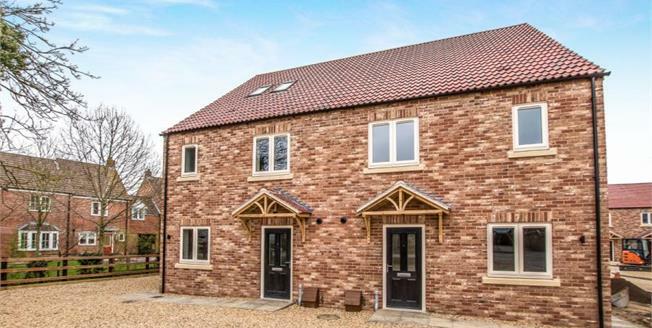 Located in Littleport which is a large village in the heart of Cambridgeshire, nestled close to the Great River Ouse. Set in a landscape of beautiful farmers fields, which benefits from being able to have a fantastic quiet walk with your dog or appreciate the magnificent sunrise and sunsets from your doorstep. The historical city of Ely is only minutes away by car where you can visit Ely Cathedral in all its beauty or simply take a walk by the river in the riverside bar's and caf's. The village is within close proximity for commuters being close to the A10 accessing links to the A14 and M11 too. The village benefits from good primary and secondary schooling and from its station being on the main rail line from Kings Lynn to London, so you can reach Kings Cross Station for a day out with the family in only an hour and a quarter!